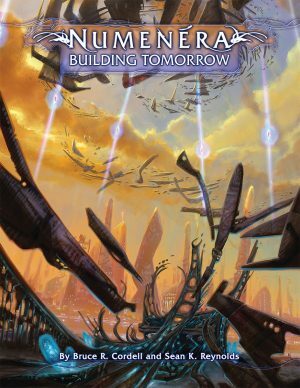 Building Tomorrow is replete with salvaging and crafting rules that let characters convert the remnants of the prior worlds into beneficial devices for exploring, building communities, and crafting structures, vehicles, cyphers, or even artifacts of their own. It introduces additional ways to challenge communities, and specific new communities with full stats, too. The sourcebook provides new options for followers. And lots more. 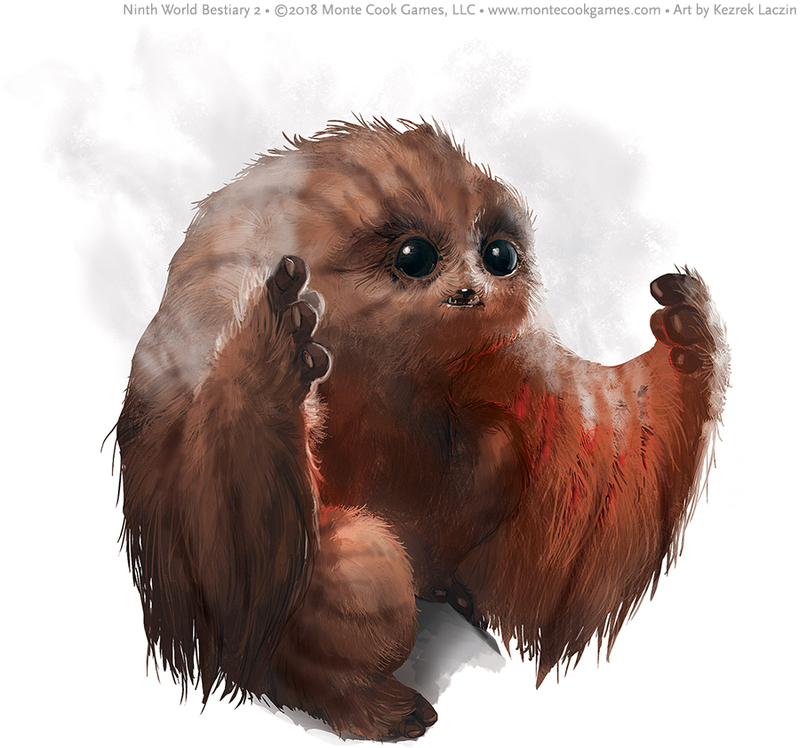 Of course, all these concepts were introduced in Numenera Destiny. The easy answer is that we had more to say on these topics. Lots more! 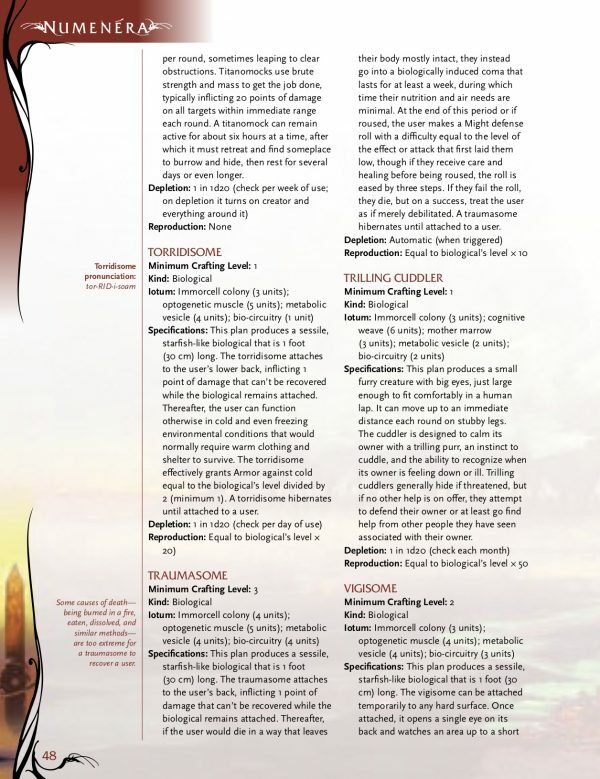 By introducing the ability for characters to craft numenera, we opened a vast realm of possibility that a single corebook couldn’t hope to encompass. Which is why this book comes with over two hundred more plans for crafting numenera. And not the same kinds that came before (though it expands on many of those). There are also some brand-new categories that allow crafters to build living devices, as well as devices that access artificial alternate dimensions. Crafting a biological is similar in some ways to crafting other kinds of numenera. But there are also important differences. For one thing, the tools and components required—including specialized iotum—are not the same. In addition, once built, biologicals may require additional care, because living things can die. Crafted biologicals can be fully organic or have parts that blend living tissue with machine parts. A biological is often mobile, though some are sessile and don’t move because they are attached to something else (often, a user or wearer). Most biologicals have limited intelligence, while a handful have true intelligence at least equal to and sometimes more advanced than humans. Reproduction: Some biologicals can produce new versions of themselves before senescence occurs. In fact, most have the capacity to breed or otherwise replicate biologically, but normally only when following a strict replacement policy. The reproduction entry provided for a given biological indicates whether it replicates and, if so, the chance of this happening. If a biological gives rise to a replacement, the offspring matures quickly, becoming fully active and able to function in about a week. One example of a biological is a trilling cuddler, a small furry creature with big eyes designed merely to be a companion, which can calm its owner with a trilling purr, an instinct to cuddle, and the ability to recognize when its owner is feeling down or ill.
Click for the full-size image. Download the free preview to see more! An otherspace device creates a limited dimension with specific qualities, provides access to a natural dimension already in existence, or allows the manipulation of artificial or extant dimensions to create interesting effects. Some otherspace devices may be transportable like artifacts, while others are fixed in place like installations. One example of an otherspace device is a headroom helmet. When worn, the wearer’s head and most of the helmet (except for a metallic collar) protrude into an artificial extradimensional space just large enough for comfort. The helmet allows the wearer to see, hear, and communicate almost normally, though with some distortion. To observers, it seems as if the wearer has no head. 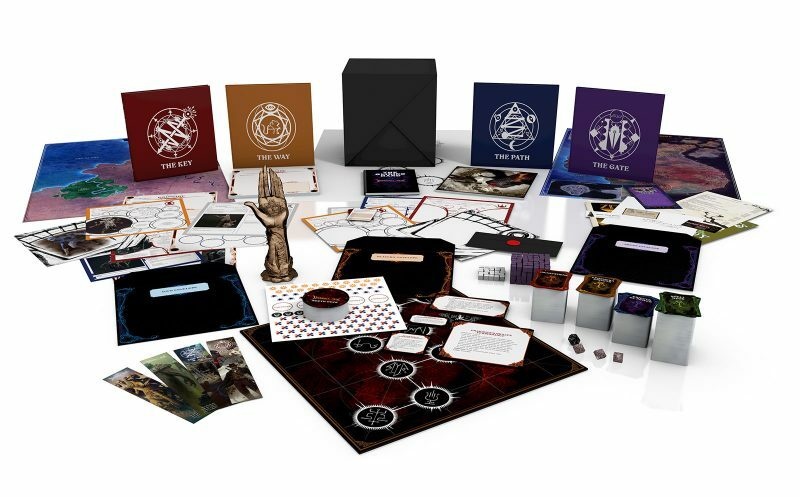 Rift: Otherspace devices crafted by wrights or other Ninth World crafters have a higher chance of causing transdimensional mishaps than devices fashioned by entities of prior worlds, presumably because modern otherspaces are crafted with an incomplete knowledge of the underlying principles. Such a mishap is called a rift. 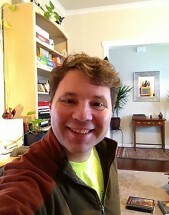 Each time an otherspace crafted by a wright or other contemporary Ninth World crafter is used, there is a rift chance instead of a chance for depletion. A handy Rift Table is provided in Building Tomorrow, perfect for the GM intrusion that describes the rift’s effect. Get your copy shipped ahead of street date by preordering Building Tomorrow! 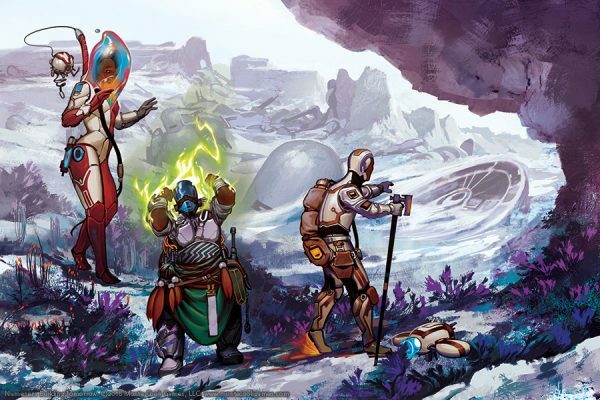 Be the first in your gaming group to uncover the hundreds of new numenera items, new communities and the high challenges that threaten them, and cool new gameplay options like creature followers and GM intrusions for crafting. 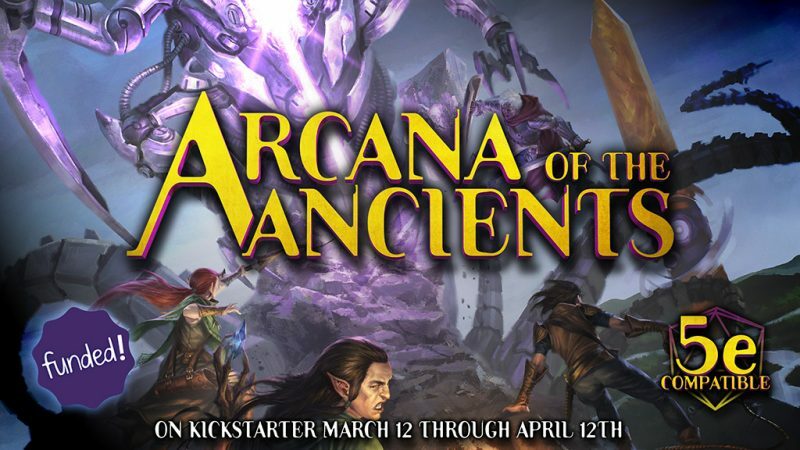 This entry was posted in Articles & News, Game Better and tagged Numenera.